The scope of this chapter is limited with the connection structures of the biologically inspired neural networks. Many biological networks are constructed with both regular and random connections between neurons. Bioinspired systems should mimic this mixed topology of biological networks, while the artificial system is still realizable. In this chapter, we focus on cellular neural networks, which is a bioinspired network with many analog realizations. 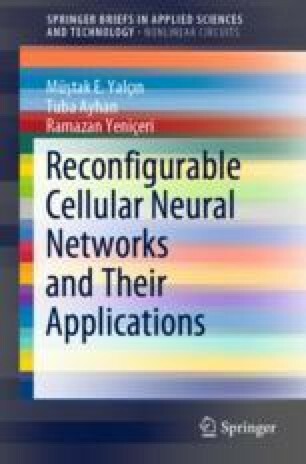 Cellular neural network models are investigated under the existence of random connections additional to its regular connections.